Amazon.com complied last week with a request by the Council on American-Islamic Relations to stop selling doormats featuring Quranic verses, but now the retail giant is receiving complaints about other products, such as toilet-seat covers with Islamic imagery. But now the Independent newspaper of London reports a variety of what it calls “derogatory” products are still available on the site, including toilet-seat covers. “To not do so renders one ‘Islamophobic,’ ‘bigoted’ and ‘anti-Muslim,'” she wrote. Global developments suggest the complaints might not end unless virtually “anti-Muslim” products are eliminated. WND has reported on the movement to create a worldwide ban on any criticism of Islam. In Uganda, Jihad Watch Director Robert Spencer recently noted, Muslims are regarding “any public statement of the Christian faith” as an insult to Islam. 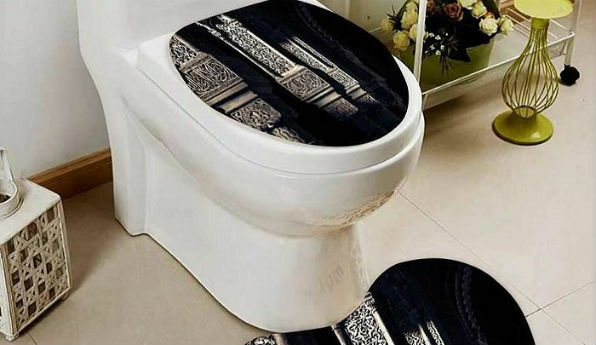 The post Muslims now pressing Amazon to drop toilet-seat covers appeared first on WND.